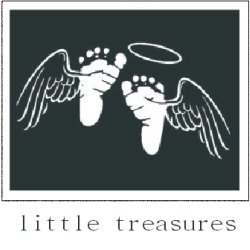 LITTLE TREASURES WAS CONCEIVED DURING A DUI AWARENESS PROGRAM, EVERY 15 MINUTES. WHILE FILMING A SEGMENT IN THE MEDICAL EXAMINER-CORONERS OFFICE IT WAS DISCOVERED THAT THERE WERE BABIES THAT WERE ABANDONED AND UNCLAIMED AWAITING CREMATION. AFTER LEARNING ABOUT THEM IT WAS DECIDED TO DO SOMETHING ABOUT THEIR ULTIMATE FATE… AND WE EMBARKED ON A MISSION. WITH THE HELP OF DARLING-FISCHER MORTUARY OF LOST GATOS, OUR FAMILIES, AND FRIENDS, WE HELD OUR VERY FIRST SERVICE FOR FOUR BABIES ON JULY 22, 2005. 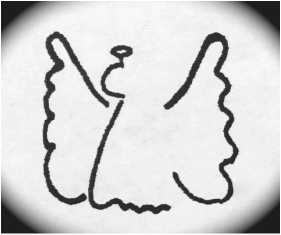 ​EACH BABY IS WRAPPED IN A BLANKET, A TEDDY BEAR IS PLACED WITH THEM, AND A FLOWER ARRANGEMENT IS DRAPED ATOP THEIR CASKET. TO PROVIDE WHAT THESE BABY’S FAMILIES MAY NOT HAVE BEEN ABLE TO OFFER, A PEACEFUL RESTING PLACE WHERE PEOPLE CAN COME TO VISIT.